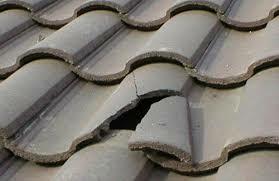 Getting a roofer is necessary in many different cases. Some just want to improve the homes while others are interested in making fixes in order to sell the property. No matter the case you are in, you want to work with the best professionals that offer roof repair in Tampa, FL or in the area where you live. Because of this, your research will need to be done properly. Make sure that you think about the following whenever looking for roofers. Ask the contractor about liability and compensation. This is important as all the roofers that work on the property have to be insured so that you are protected against something bad happening. In the event that such insurance exists, the homeowner is excluded from consequences. Liability will not appear for work injuries or other problems. Ask for the certificates and contact insurance providers in order to validate the information that was offered. Way too many simply contact the companies that they find through TV ads. This is not a great approach as you would actually end up paying more for the services offered. The best thing that you can do is look for the local contractors. It is so much easier to validate the claims of the local contractors. As an example, it would be easier to simply visit the homes that work was done on. Since we are talking about roofing, all you have to do is walk up to the homes that are presented as portfolio, talk with the owners and check the experience that he had with the considered contractor. One of the biggest mistakes that are made these days is remaining way too focused on costs. 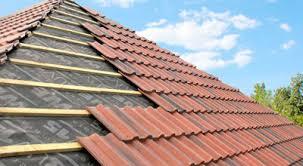 During the selection process you want to be sure you will be able to find quality roofing services. If you just focus on getting the lowest possible price it is a certainty that this is not going to happen. Cheap deals will normally mean that the contractors will use bad, cheap materials. As an extra tip, stay away from the part time roofers. Talk to roofers that seem to have a great deal for you but do not blindly believe it. There is always this possibility that the roofer is not great when he is way too aggressive. The established roofers will always be the very best for every single project out there. It is important that you control the entire project. Release pay only according to the contract. This would be impossible in the event that you do not have that contract. All that you discuss with the roofer has to be included in the contract and has to appear in writing. If this is not the case, you basically set yourself up to failure as the contract cannot be contested. This advice is very useful for you. Make sure that you take it into account so that you can be faced with the best possible work done on your roofs.